Absolutely Fantastic - An Eventective User from London ON. "I have to say, that was superb. That was exactly what I expected because I've seen shows before and your show was done in excellent taste and I think everybody had a lot of fun. I really thought you did a great job. What you did was absolutely appropriate for us. The whole room is just buzzing about how great this was for our night. It was fabulous. We highly recommend you and will bring you back. "- Inez Fitzpatrick & Lorraine Barber, Event Organizers for Lower Lakes Towing Ltd.
Great Time and Great Laughs - An Eventective User from Windsor ON. I Knew He Was The One! - An Eventective User from London ON. Tim Hortons Event - An Eventective User from Windsor ON. 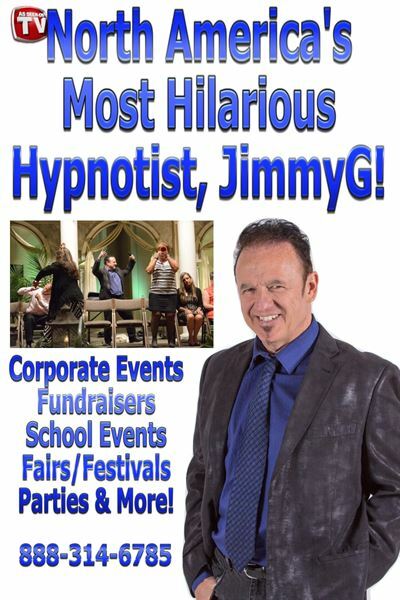 Hypnotist JimmyG Delivered! - An Eventective User from Kitchener ON. "Great Night of Fabulous Entertainment!" - An Eventective User from St Marys ON.